Andrew Young is bluntly self-critical in saying that he “wasted” many of his opportunities growing up as the much-loved son of a middle class New Orleans family. Born March 12, 1932, he was expected to follow in his father’s footsteps and become a successful dentist. But as Young remembers those early years, he was more interested in socializing than studying, and barely escaped flunking out of Howard University. It was at that point that he made a stunning turnaround. The story of Young’s life is the fascinating transformation that began with an unexpected decision alone on a mountain top that led him to the ministry, and on to the forefront of the civil rights battleground. He marched through the streets of Birmingham and Selma with the young Martin Luther King, Jr.; and he was with his friend when Dr. King was assassinated. He was brutally beaten as he led peaceful marchers through a Florida town, but his commitment to nonviolence never allowed him to consider fighting back. As a young man, he met and married Jean Childs who would remain his wife for decades, until her death from cancer. Despite the constant dangers and struggles of the civil rights movement, they managed to raise four children. In the early seventies, Young became the first black man since Reconstruction elected to Congress from the South. In late 1976, President Jimmy Carter nominated Young to serve as US Ambassador to the United Nations. He spoke out forcefully and consistently on issues such as apartheid in South Africa, as well as human rights violations and racism in the United States. 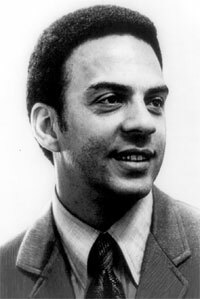 In the early eighties, Young was elected mayor of Atlanta, Georgia. One of his most notable accomplishments was leading the successful campaign to bring the Olympics to Atlanta in 1996. It was also in 1996 that he married long time family friend, Carolyn McClain. Young serves as pastor of a major Atlanta church. As head of a private organization, he focuses much of his attention on facilitating economic empowerment programs both in the United States and abroad, particularly in Africa.